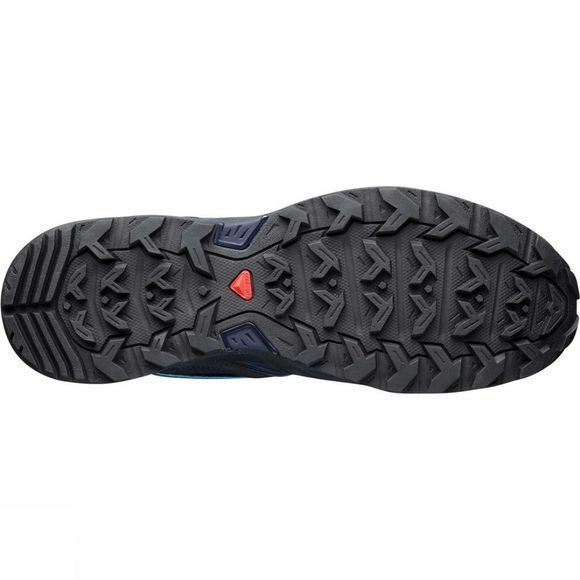 The Men's X-Ultra 3 GTX Shoe from Salomon is a flexible, lightweight walking shoe that allows you to tackle tricky terrains with ease no matter the conditions. These walking shoes are comfortable whilst giving you the traction and control you require when hiking on walks from coastal paths to winding forests. These hiking shoes have Gore-Tex technology making them 100% waterproof meaning that no matter the weather you can get outside and explore. The Mens X Ultra 3 GTX walking shoes are not only designed for performance when it matters but also provide comfort via the Ortholite Footbed. These hiking shoes also feature a quicklace system to allow you to easily take the shoes on and off while also providing maximum comfort while wearing. 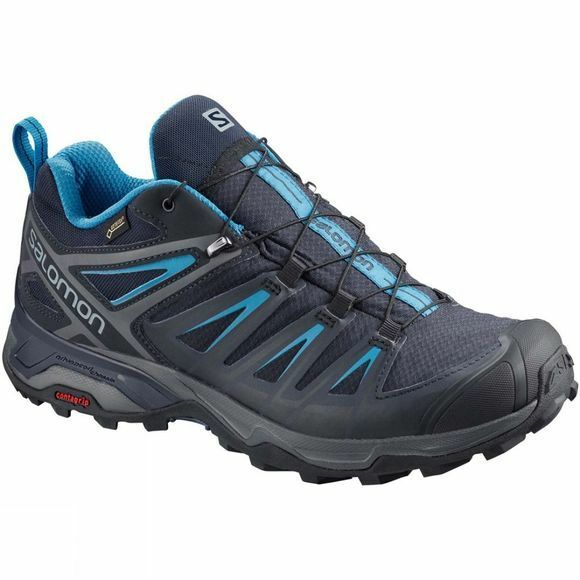 These walking shoes also feature Salomon’s descent control technology meaning that even downhill you can have peace of mind that your shoes will perform meaning you can focus on enjoying your time outdoors. Not the pair of walking shoes you're looking for? Take a look at our extensive range of walking and approach shoes.